Legoland is a brand of interactive theme parks dedicated to families with children between the ages of 2 and 12. Each Park features more than 50 rides, shows and attractions geared towards interactive family fun. legoland parks are part of the No 1 visitor attraction operator in Europe, No 2 in the world, Merlin Entertainments Group. Merlin operates 87 attractions, six hotels/two holiday villages in 19 countries and across four continents. Play with your children at the Park with over 55 interactive rides and attractions. Legoland Malaysia is the sixth park to be built in the world and the very first in Asia. 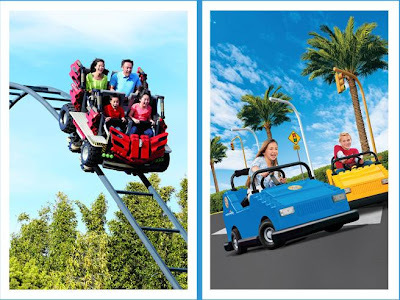 Targeted at families with children between the ages of two to twelve years old, legoland Parks are based on the universally popular LEGO® construction toy product. They offer families the opportunity to bond, learn and push the boundaries of their imaginations through LEGO experiences. At Legoland, families can practice their imagination and creativity, have fun while learning, and understand the importance of caring and quality. Families will be immersed in a unique mix of kid-powered rides, building challenges, spectacular LEGO models, interactive attractions, family-friendly coasters and shows that pull the audience into the action. Legoland Malaysia will feature more than 40 interactive rides, shows and attractions when it opens. Other legoland theme parks across the world are located in Denmark, United Kingdom, Germany and California and Florida in the United States. There are legoland Hotels in Denmark and the United Kingdom; with a hotel scheduled to open in California in 2013.
traveled with the family would be more fun if visiting Legoland Park. Children will get happiness and pleasure to play on the rides there. as parents, we would also be happy when our children learn while playing.